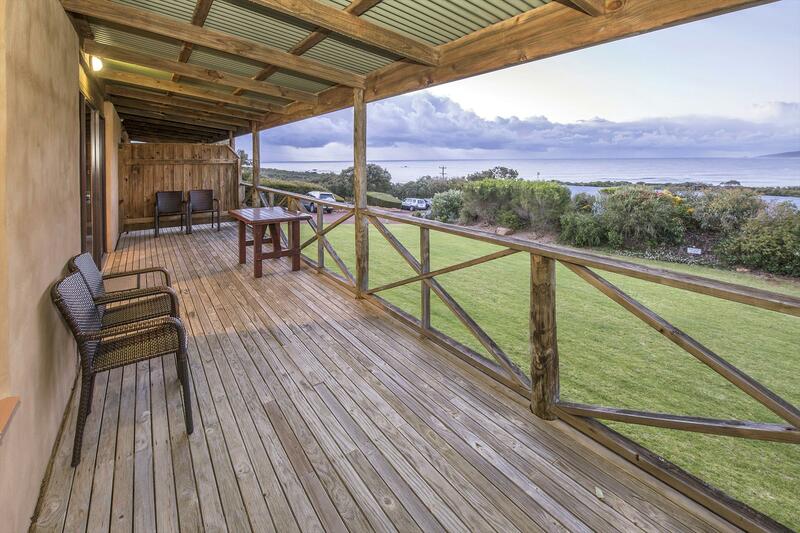 Enjoy breathtaking views over beautiful Smiths Beach and out to Cape Naturaliste from the private balcony and living room of your beautifully appointed 2 bedroom, self - contained villa in the famous Margaret River/Yallingup wine region. Wonderful surfing, walking, swimming or fishing a short stroll away. Chandlers Smiths Beach Villas is situated between lush farmland and National Park land 200 metres up from beautiful Smiths Beach. 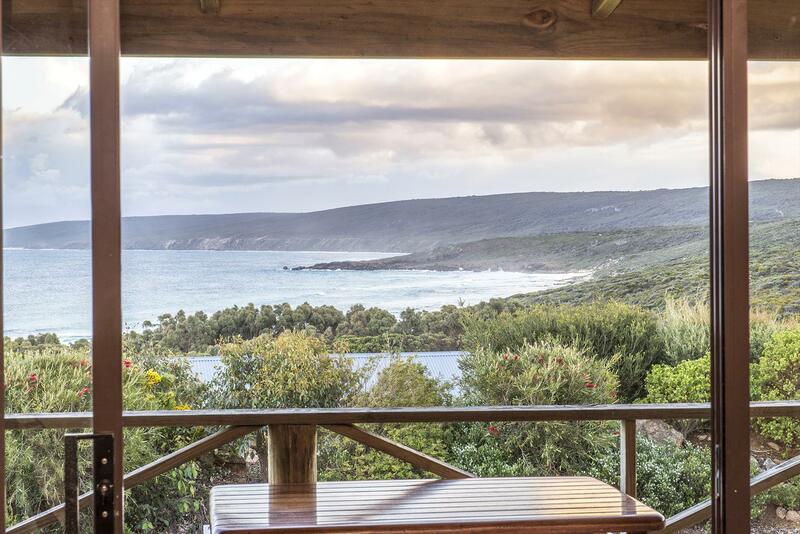 The complex is designed to give each villa the most breathtaking view over Smiths Beach and out to Cape Naturaliste. The fifteen 2 bedroom rammed earth villas consist of three rows of five, terraced on a hill with extensive native gardens and large lawned areas in front of each row. VILLA B Ocean View (family 2 bedroom) 2 Bedroom villa. Accommodates 4 persons. Bedding includes Queen bed in main bdrm and 2 Single Beds in second bedroom. Infants under 2 years using own cot, free of charge. Cot and high chairs available $25 charge. Single Beds used are charged at additional guest rate of $25 per night per person. CANCELLATION POLICY Please ensure you are familiar with our cancellation policy prior to booking. A cancellation fee of $50 applies to all cancellations. Christmas school holidays. 50% of deposit (less $50 cancellation fee) refunded if cancellation received before 1st November. Non-refundable after 1st November. Easter. 50% of deposit (less $50 cancellation fee) refunded before 1st December. Non-refundable after 1st December. Peak periods. Deposit (less $50 cancellation fee) refunded if notice of cancellation is received at least 30 days prior to arrival. Off peak periods. Deposit (less $50 cancellation fee) refunded if notice of cancellation is received at least 14 days prior to cancellation. Date Changes: Original booking must be cancelled and a new booking to be confirmed on the same day as cancellation - to avoid cancellation fee. DEPOSITS All bookings require 1 night deposit at time of booking balance in full is due 7 days prior to arrival. Chandlers will require guests credit card details 7 days prior to arrival. Check-ins after office hours - must be pre arranged direct with Chandlers 7 days prior to arrival. We will not leave keys out for late arrivals without prior confirmation direct with Chandlers. Additional guests/beds used will be charged to the guest credit card.